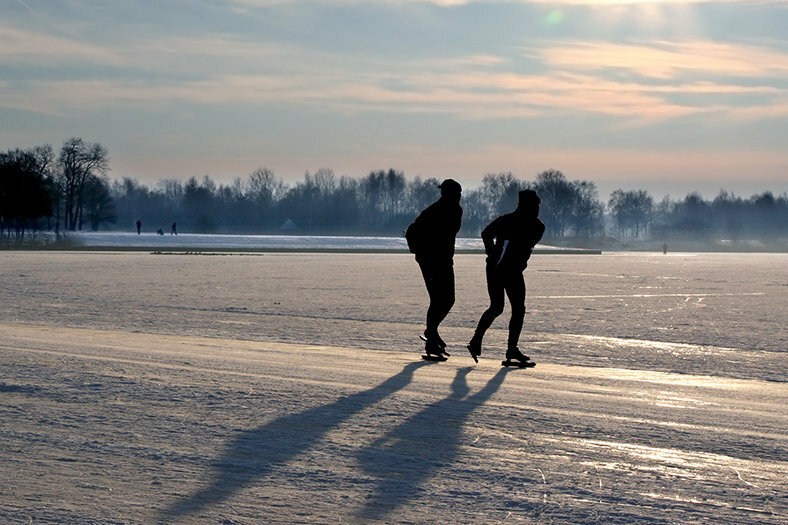 Ice-skating in Finland is very common winter activity for Finns together with cross-country skiing. Children from 1st grade at school do ice-skating in winter time at school sports, maybe that is a reason why many world-famous ice-hockey players come from Finland, like Teemu Selänne, Saku Koivu, Jari Kurri and Patrik Laine. Ice-skating in Finland is possible almost everywhere in winter. Basically in every cities and small towns there are frozen skating rings and ice rinks where people can do ice skating. Another, natural ice rink is frozen lake or sea surface. 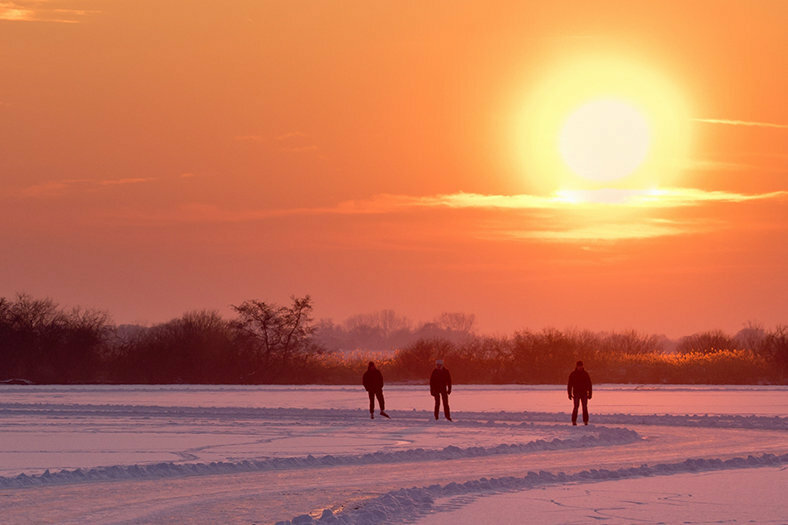 Ice-skating on the lake is something to explore when there is a chance for it. This is something which you can do in Rock and Lake log cabins by Lake Soukkio. Ice-skating is suitable for everybody: you can do it alone, together with your friends and family or even with small children at any age. 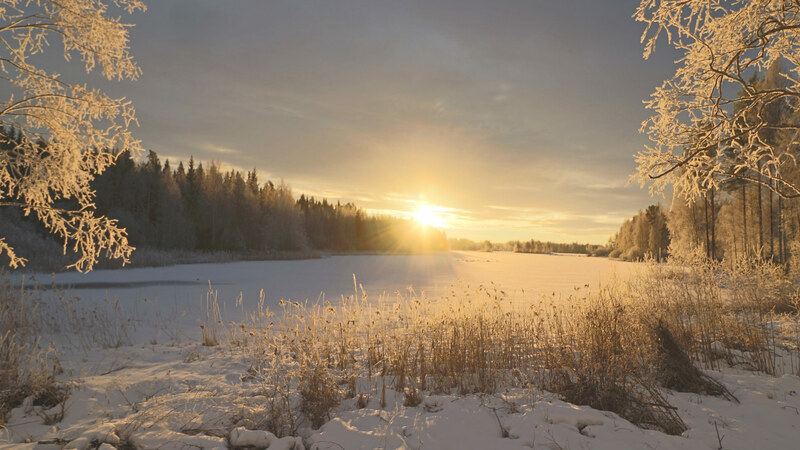 At the same time you will enjoy outdoors silence, sound of scratching ice and fresh air. Try and explore the joy of easy and fun winter activity. 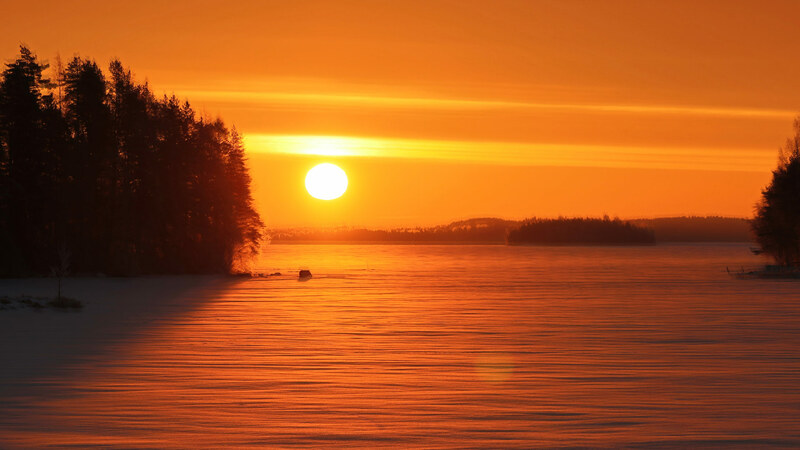 Ice-skating in Finland is maybe something to add on your bucket list? Try also kick sledding, fat biking or ice-swimming! to get the trail in good shape and keep it open when it´s snowing takes quite a time and efforts. When the ice of the lake is strong enough can the freezing of the trail begin. Water is carried on the ice surface and once it freezes over comes another water surface on it. Repeating this a couple of times ensures that the trail is in good shape. But please note, there still might be cracks on the ice because of natural movement of the lake ice. Please note, that the ice-skating trail is primarily intended to ice-skating. To keep the trail in good condition for all skaters, please do not brake or make any holes or cracks on the ice. Because of safety of the other people on the ice-skating trail or near it dogs are not allowed to run free. - Prices: adults 10 €, children aged 7-15, 4€. Payment by cash when arriving to the ice-skating trail or online. - Price includes stop at camp fire and use of it and firewood. It is possible to drive with car to the camp fire and there is outhouse toilet in use. - Trail is free of charge for Rock and Lake log cabins by Lake Soukkio customers. - Address: Rock and Lake, Taipaleentie 60, 51460 Luusniemi. In the reception there is possibility to change the clothes and rent skates, other outfit supplies like fat bikes, helmets and protective gear for the biking. Even outboard motor for the boat in summer. - See path map and the cabins on the trail. - Ice-skating or walking on the trail is safe but deviation from the trail is at your own risk. Please see our Facebook page or call +358 50 566 0905 to check the condition of the ice.